RENO, Nev. — A doctor in Nevada says that insurance companies have now twice declined to pay for patients’ life-saving treatments, but offered to cover assisted suicide. 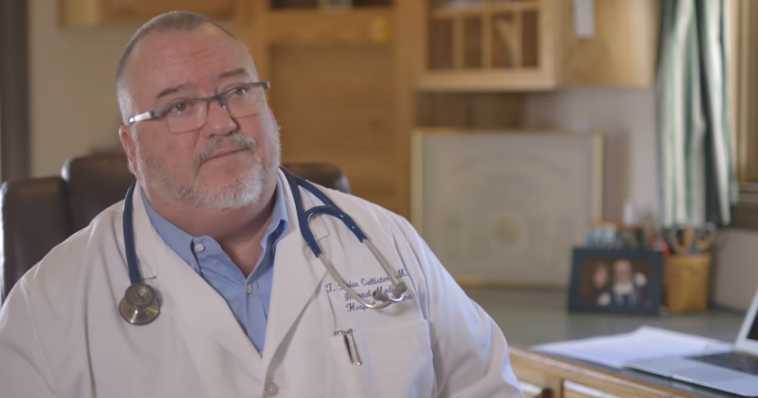 Dr. Brian Callister, a professor of internal medicine at the University of Nevada, shared his story in a recently-released video produced by the Patients Rights Action Fund. He explained that he sought to transfer two patients out to obtain procedures that are not provided at his hospital. On both occasions, the two separate insurance companies declined coverage. As the desired transfer locations were in states where assisted suicide is legal, the representatives presented the option. Callister said that the suggestion of death over treatment stunned him. “This is something we didn’t talk about, we didn’t request, we didn’t ask for,” he stated. The physician further explained to the Washington Times that neither patient was considered terminal, but would have died without the needed treatment. “It was estimated that their chance for cure—cure, not just adding time—of about 50 percent in one case and 70 percent in the other case,” Callister said. He said that insurance companies are finding it cheaper to provide fatal medicine rather than cover ongoing treatment. “As much as most insurance companies try to come across as your best friend—they want to do whatever the least costly thing is—it’s a lot cheaper to grab a couple drugs to kill you than it is to provide you life-sustaining therapy,” Callister lamented in the video. As previously reported, Stephanie Packer, a California mother of four who has been diagnosed with terminal scleroderma, shared a similar experience. She explained in a recording released last October that after California legalized assisted suicide, her insurance company declined to pay for her new chemotherapy medicine, but said suicide pills would be covered. “[W]hen the law was passed, it was a week later I received a letter in the mail saying they were going to deny coverage for the chemotherapy that we were asking for,” she explained. So Packer called to ask why. Packer too expressed concern that if assisted suicide continues to be legalized in states throughout the nation, insurance companies will suggest the option in order to save money. “[W]hen these laws are passed, patients fighting for a longer life end up getting denied treatment, because this will always be the cheapest option,” she lamented.